Agent Assist 5i – Coming Soon to iTunes – It may just be the 1 billionth app. Agent Assist 5i is now in development to be launched as an iPhone application and promises to be available via the app store or itunes library in the very near future. 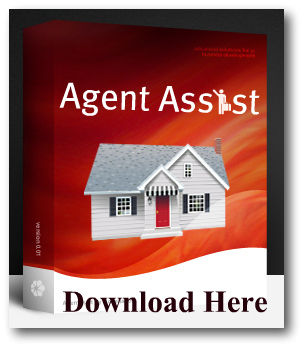 Agent Assist is a time tested application for PC’s and MAC’s that has proved its worth time and time again. 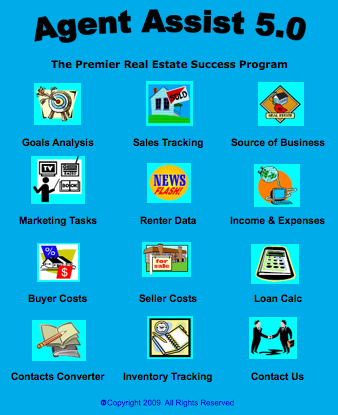 It’s one thing to set your goals in Real Estate, it another to have something so simple to help you track and achieve them. And now you’ll be able to do it right from your iPhone. Keep an “i” out for Agent Assist 5i for the iPhone. There’s never been a better app that will give you so much information about your business, where you are, and where you’re headed like Agent Assist will. We hope to finalize development, beta test, and launch before summer is out. The Industry has been waiting, and now Agent Assist will deliver. Hey Jim – Agent Assist will be moving to an online subscription based platform in the next few months, so future versions and updates with NovelSoft won’t be relevant.